I’m a Hand in Hand parenting instructor, and author of Tears Heal: How To Listen To Children. Originally from the UK I now live in Basel, Switzerland, with my husband, author Toni Davidson, and our six year old daughter . I have written articles for a number of different parenting magazines including The Green Parent, Juno and Smallish. I offer parenting workshops, consultations, both online via skype or in person. I really love the hand in hand parenting approach. I’m not a parent yet but work as a nanny. Thanks to discovering handinhandparenting I even decided to take another job as a nanny so I could really apply it. I have a couple of friends who only speak Swiss German and wondered it you by chance know of any instructor who do the work in German. 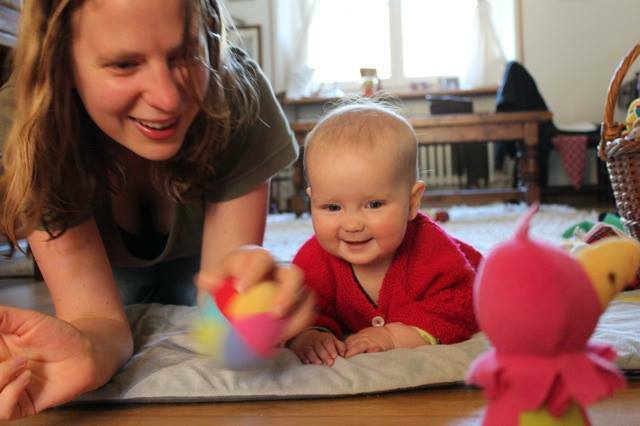 Hi Rahel, that is so wonderful to hear how you are using Hand in Hand parenting as a nanny. There are a couple instructors who are German. One in the states, and one in Australia but they are both originally from Germany. One of them has translated the Hand in Hand booklets to German. If you’d like copies for a friend, I can get them for you. And I can gie you the contact details for the instructors too.